You are going to need a hefty dose of patience if you are in pursuit of the Russia Visa. For as long as I can remember, Russia has had an excruciatingly cumbersome and bureaucratic visa process. The Russian government runs a tight immigration ship and maintains a restrictive and complicated visa regime for foreigners who visit, transit, or reside in the country. Don’t let your visa expire! 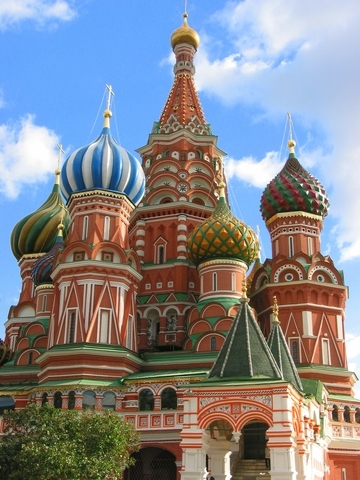 Russian authorities can and will prohibit you from departing the country if your visa has expired. In some cases, you might even have to wait up to 20 days for a new visa to get approved. Under Russian law, pretty much every foreign traveler needs to have a Russian-based sponsor in order to enter the country. This sponsor can take many forms, including a hotel, tour company, relative, employer, university, etc. Even if you obtained your visa through a travel agency in the United States, there is still a Russian legal entity whose name is indicated on your visa and who is considered to be your legal sponsor. Make sure that you have the contact information (e-mail, address, telephone number, and all that other good stuff) of the person who is sponsoring you in Russia on hand when you land in Moscow (where you will most likely be entering the country if you are a foreigner) should you run into any unforeseen problems. The countries who will be able to get into Russia without having to go through the sometimes painful Russia visa process will be those citizens of the following countries: Israel, Armenia, Azerbaijan, Belarus, Kazakhstan, Kyrgyzstan, Moldova, Russia (of course! ), Tajikistan, and Uzbekistan.